It’s a question frequently asked by our customers; what’s the difference between regular or “conventional” oil and synthetic oil? While there can be many highly technical explanations, the basic differences come down to two key issues: base oils and additive packages. Base oils: Standard or conventional oils are by-products of refined crude oil. Refining reduces the oil’s impurities, but its end product has molecules varying in size. This inconsistency in size can result in diminished flow when the oil moves through the engine. 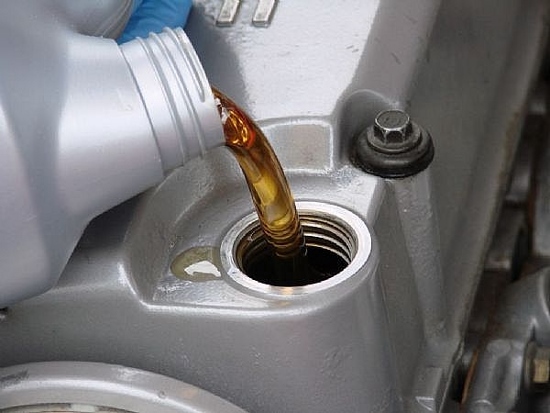 Synthetic oil molecules are manufactured and are thus uniform in both size and shape. This reduces friction in the engine allowing the oil to flow more smoothly resulting in superior performance and protection. Additive packages: Additives added to the base oil are what give the oil the characteristics necessary to perform its task. Additives can impact a lubricant’s performance even more than the base oil. Synthetic oils are typically manufactured with a superior additive package compared to conventional oils and thus provide premium protection and performance. Einstein’s Oilery carries a full line of both standard and synthetic oils so we are always able to provide the motor oil that best matches your driving habits, your budget, and your vehicle’s needs. 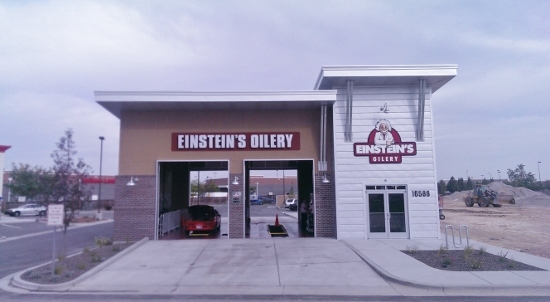 Visit Einstein’s Oilery online at www.einsteinsoilery.com to find oil change coupons, details on all the maintenance services we offer, news, promotions, location information, and more! Einstein’s Nampa Is Open At Last! After more than a year of hard work we are officially open for business in Canyon County (in front of the Nampa Costco). For your convenience, we’re open 7 days a week and you never need an appointment. Our hours are Monday-Saturday 8am-7pm and Sunday 10am-5pm. We look forward to serving you in Nampa! 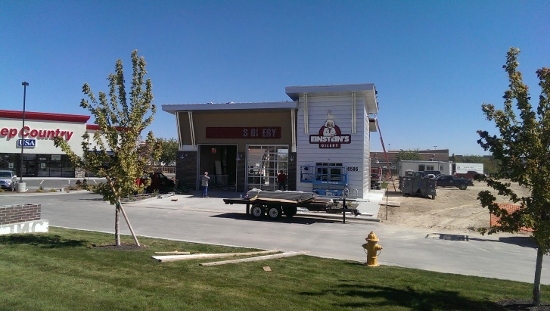 Nampa Einstein’s Opens Next Weekend! We are working feverishly to get everything prepared for next weekend’s launch of the first Canyon County Einstein’s Oilery location (in front of the Nampa Costco). Looking forward to serving the good folks of Nampa next week! A century-long information drought ends as federal safety regulators launch a universal recall look-up tool that will enable consumers to discover the recall status of any passenger vehicle or motorcycle sold in the U.S. since 1999. The new tool, available on the National Highway Traffic Safety Administration’s (NHTSA) safercar.gov site, is the first ever to provide recall status information on all major vehicle makes and models regardless of the vehicle’s manufacturer or the inquiring consumer’s ownership status. It uses each vehicle’s unique VIN (vehicle identification number) and covers vehicles dating back to 1999. The new VIN look-up system represents a critical advance in vehicle safety. Because finding such information has been difficult in the past, millions of vehicles still subject to recalls are on the road today without having had the proper repairs to fix the safety issue that prompted the recall. HHTSA estimates that only about 70 percent of the vehicles involved in recall campaigns are brought to dealerships to have the corrective repairs done. More than 215 million vehicles, most of them passenger cars and light trucks, have been covered by recalls in the U.S. since 2004. The used-car market, especially, is loaded with “open recall” vehicles and there is no requirement that sellers inform buyers of a vehicle’s recall status. The chore of checking on recall status is left to a vehicle’s present owner or a prospective buyer. For consumers, though, information has been hard to come by until now. The new NHTSA recall look-up tool includes all major automakers. 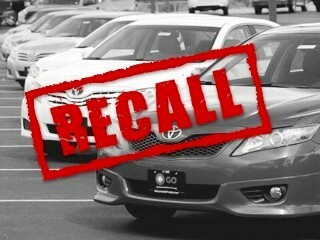 It is the result of a multi-year effort by the agency to get vehicle manufacturers to send weekly updates of recall information to the agency in a form that could be shared with the public. To use the new recall look-up tool, all a consumer needs is a vehicle’s VIN — a vehicle identification number consisting of 17 letters and digits. The VIN location can vary, but the number is always printed on the vehicle’s registration and on insurance identification cards. The VIN also is stamped on each vehicle in several places — most often on the driver’s side of the dashboard, visible through the windshield, and on a tag affixed to the driver-side door frame. Inputting the VIN in the tool fetches a report that will either state that there are no open recalls or will list all open recalls, for which the necessary repair work has not been done. Armed with that information, a consumer can take his or her vehicle to the appropriate dealership to have the repair work done. There is no charge for using the tool and no charge to have recall work performed. The Block Party is back! It’s time to send summer out on a high note by joining your neighbors at Settler’s Park (located at the corner of Meridian and Ustick) for a day of FREE fun! The 5th Annual Meridian Community Block Party is a FREE event and will include a variety of activities including inflatables, a climbing wall, mini bike races, theater workshops from Treasure Valley Children’s Theater, on-site broadcasts with WOW Country and Mix 106, face painting, food vendors, games, and more! Make sure you’re at the park by 11:00am for the Meridian United Soccer Mascot Dance-Off! Some of your favorite mascots from around the Treasure Valley will dance it out for a $750 prize pool to be donated to the winners’ charities of choice. Winners are determined by crowd noise so come show your support! 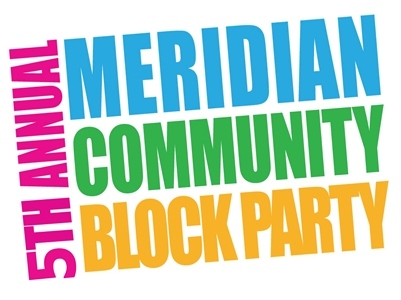 For questions about the event, please contact the Meridian Parks and Recreation Department at 888-3579 or visit the event website at www.meridiancity.org/blockparty.